Lol, she truly is a poser, a good one! Oh my, how cute is Fiona! Is mama BiBi playing or is she irritated? Last edited by mykittysmama; 11-18-2017 at 11:16 PM. Probably a little of both, you know how 'kids' can be! 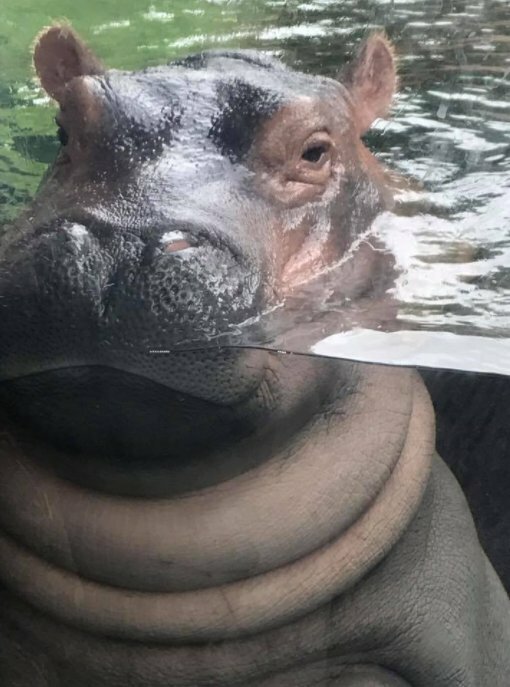 She's really starting to look more like an adult hippo, go Fiona! Fiona weighs 622lbs today. That's the equivalent of 4,976 MoonPies! 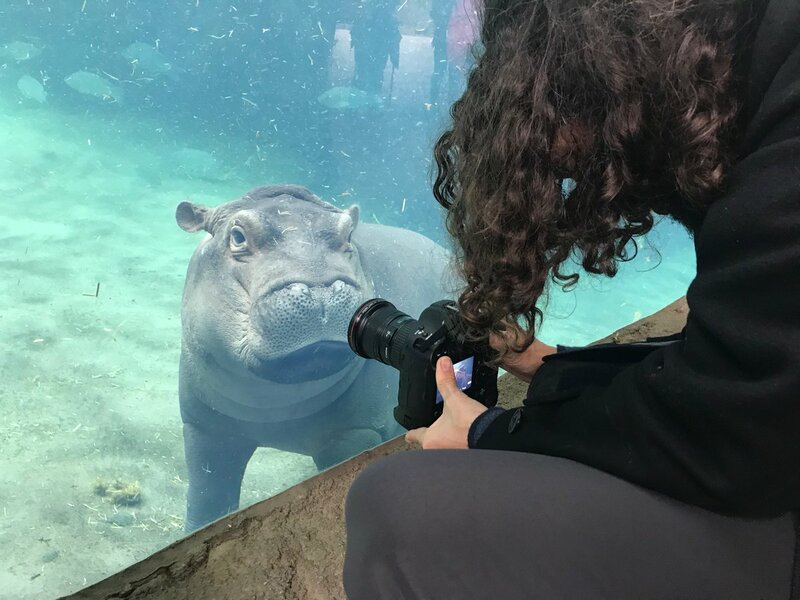 CINCINNATI (FOX19) - Fiona the hippo became an international darling in her first year of life, so it was only fitting that the Cincinnati Zoo and Botanical Garden throw her a birthday celebration fit for a star. 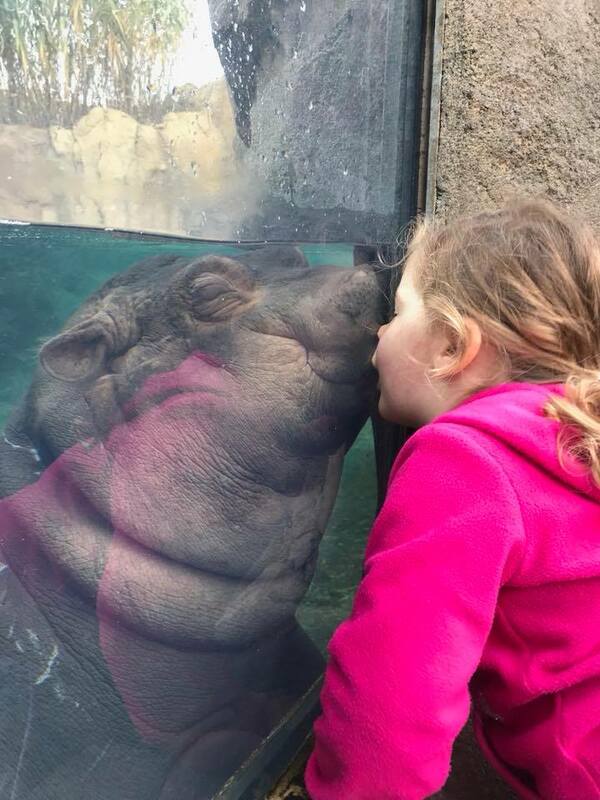 Hundreds gathered at the zoo Saturday to celebrate the West Nile Hippopotamus and partiers even had a special chance to see Fiona, who typically stays indoors during winter months. 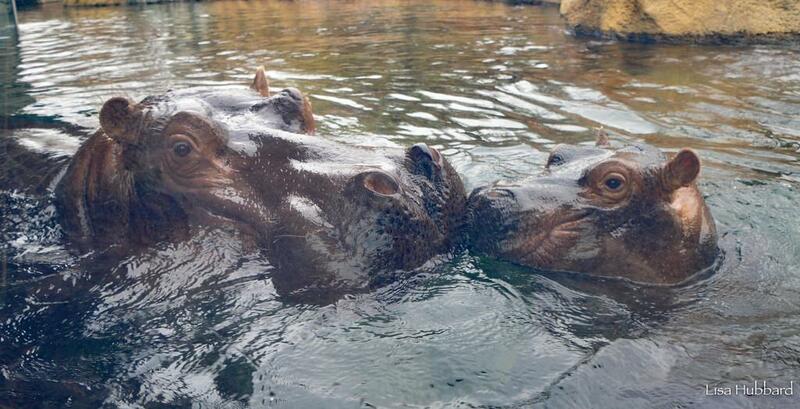 Thanks to the warmer weather, Fiona and her mom, Bibi, made an appearance in Hippo Cove. Guests watched as Fiona enjoyed a two-tiered “cake” made of her favorite fruits and vegetables. 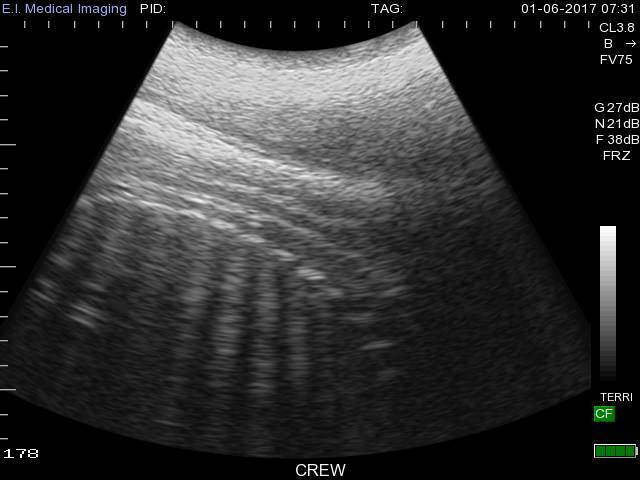 The baby hippo was born six weeks premature on Jan. 24, 2017. Since then, the world has followed Fiona's every move - even when she passes gas. 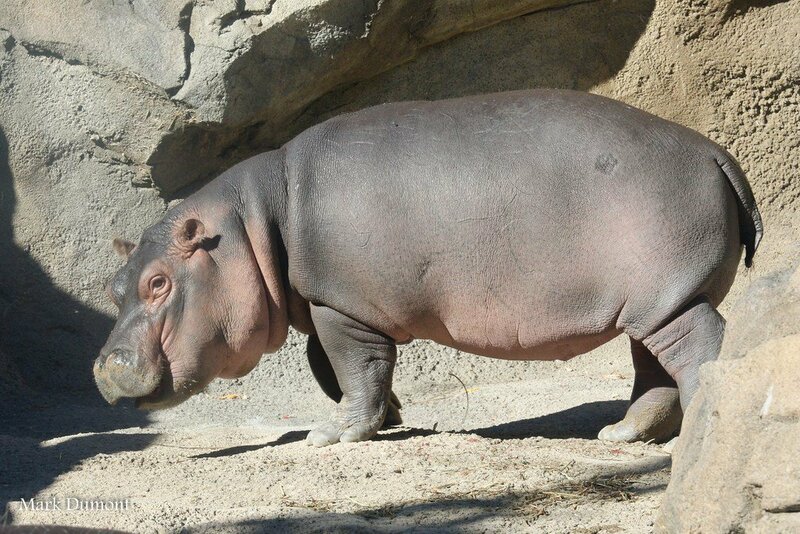 She's been called a "diva" and a "little hippo with a big personality." In her first year alone, Fiona has starred in her own TV show, she became an honorary sheriff's deputy and helped a couple get engaged. She's inspired a t-shirt line, a beer, ice cream, cookies and a book and countless other endorsements. Almost a year old already! 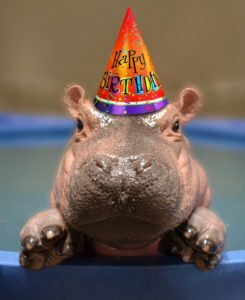 Happy 1st Birthday Fiona, you have come a long way! Fiona's 1st year baby book. What a great idea, love it ! He laid on the charm in the Facebook post shared Thursday night. My name is Timothy. I recently moved out of my mom's house to San Antonio and currently live with my grandma, Uma who I love very much. My grandpa, Tumbo was a cover model for National Geographic magazine. Grandma says that's where I get my great looks. Hooray for Fiona! I just love her, after her rough beginning and throughout her trials and tribulations, she is just perfect .